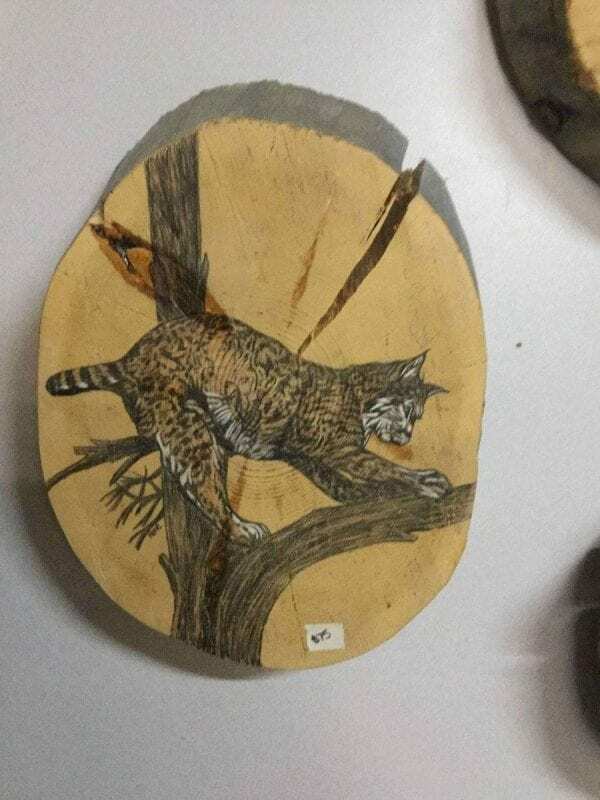 I had several large pieces of Cottonwood slabs and wanted to draw animals on them. I love cats and came up with this fun bobcat enjoying the day while sharpening his claws. Drew this with watercolor colored pencils and applied 3 coats of polyurethane.